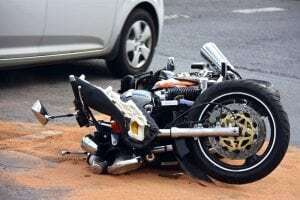 Hempstead Village, NY (October 6, 2018) – Police say that one person suffered serious injuries in a motorcycle accident in Hempstead Village on Saturday, October 6. The accident happened around 12:01 p.m. at Smith Street and Franklin Avenue. Photographs from the scene were obtained that showed a black Dodge Ram pickup truck with side damage and its air bag deployed. A red Suzuki motorcycle was sitting near clothing and a helmet on the street. The male motorcyclist was quickly taken to the hospital. The driver of the pickup truck was not confirmed to be injured. We wish to extend our thoughts and prayers to the motorcyclist that was injured in this serious accident. We know that it is difficult to go through a serious accident and we know that you need help on your side at this time. Many motorcycle accidents take place every year that are the fault of either the motorcyclist or the other motor vehicle driver. If you have been involved in a motorcycle accident due to the negligence of another driver, you have a wide range of options. Many of these accidents happen for negligent reasons such as speeding, drowsy driving, drunk driving, and more. New York motorcycle accidents take place every day and we want to stand by your side. As a victim in an accident, you have specific rights. At Hach & Rose, our experienced and empathetic attorneys want to stand by your side as you attempt to receive compensation for your injuries. Do not hesitate to call us so that you can get started on your case immediately at 212-779-0057. We are here for you every step of the way.